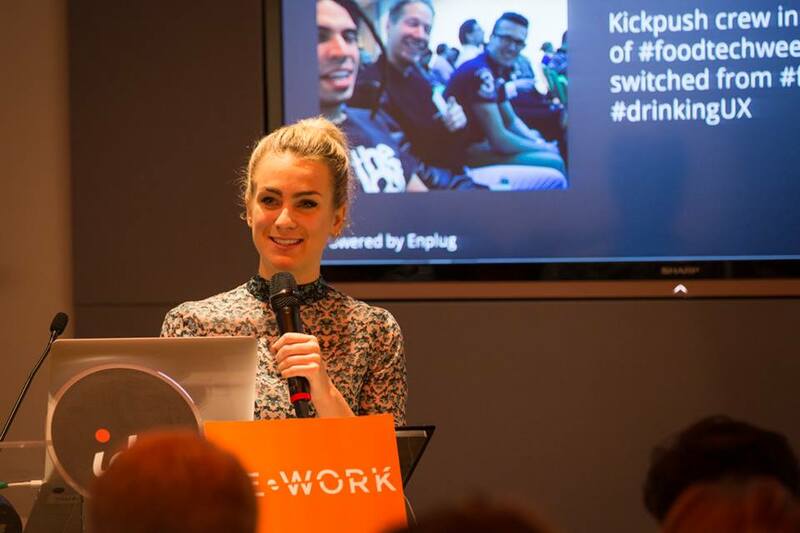 RE•WORK | Blog - What Does London Tech Week Have to Offer in 2016? What Does London Tech Week Have to Offer in 2016? For a week in June each year, London Technology Week takes place across the UK capital to bring together an international audience for networking, events and new opportunities in the tech world. RE•WORK took part in the inaugural London Technology Week in 2014 to host the first Future of Education workshop, a sell-out event where attendees came together from companies including the Department for Education, Dell, Makerversity, Microbot, New Scientist and Ravensbourne to explore the role of emerging technology in education. The event grew in 2015, to bring together over 100 technologists, teachers, policy makers and startups to share best practices and expertise in applying technology into the education sector. The 3rd annual Future of Education workshop will take place on day 1 of London Tech Week, Monday 20 June, bringing together education practitioners, innovators, edtech startups and investors to explore topics including augmented reality, wearables, artificial intelligence, robotics and human-computer interaction, and the impact on education. Joachim Horn, Founder at SAM Labs, will present their latest work on how technology and the Internet of Things and DIY maker projects will impact innovation in the classroom. Ross Jones, Founder at emotuit, explores how we can use advanced analytics technology to measure student interaction. Joanna Bersin, Head of Education at Kano, talking about creating with code in the classroom, and how this can enhance other learning. Lola Canamero & Matthew Lewis, from the University of Hertfordshire, will present a talk on 'Robin' - an autonomous social robot they have created for diabetic children. Colum Elliott-Kelly, Head of Education at Blippar, will explore their work in augmented reality for the classroom, to improve how well students learn. At the event you'll meet attendees from companies such as Google, Code First, Imperial College London, Nesta, The Open University, Ultimaker and University of Oxford from locations including Australia, Canada, Germany, Ireland, Italy, Switzerland and the UK. Join the event to hear the latest technology trends in the education sector, and to share insights and best practices in areas such as: how can we make new technologies purposeful? What problems are we trying to solve? What partnerships need to form to make this happen? To see the full line-up of speakers and register, visit the event page here. At the Future of Food Summit, taking place on 21 June, founders, scientists, food industry executives and entrepreneurs will come together to discuss, explore and collaborate to discover how advancing technology such as robotics, AI and machine vision will impact the future of food. Over the day we'll cover topics such as urban farming, lab-grown meat, 3D-printed food, precision agriculture, hacking food waste and artificial intelligence chefs. Florian Pinel, Lead Engineer at IBM Chef Watson, will discuss computational creativity using data to create innovative food, texture and nutritional combinations, and asks the question: can computers become chefs? Alessandro Incisa, Project Manager of Makr Shakr, will present their bionic bartender project and show examples how a robot can be used in hospitality industry. Abi Glencross, PhD Researcher at King’s College London, will introduce the audience to lab-grown meat and the possibilities of cellular agriculture, including impact on society and the environment. Felipe Hernández, Founder of Hexagro, a bio-inspired modular system for urban farming, explores resilient, sustainable and autonomous farming for accessing healthy food locally. Gonzalo Urculo, Co-founder of Naranjas Del Carmen will present their crowd-farming business model that has engaged local residents, minimised waste and produced delicious oranges for all to enjoy. The Future of Food Summit is a unique opportunity to see the latest technology trends first hand and explore their world-changing applications, as well as networking and knowledge sharing with attending technologists, academics, farmers and retailers shaping the FoodTech and AgTech space. The exhibition area of the event will showcase some of the latest technologies and innovative edibles for the attendees to try, including printed liquid smoke snails and raspberry boomerangs from nūfood! We've got events coming up in London, San Francisco, Boston, Berlin and Singapore! View all upcoming events here.